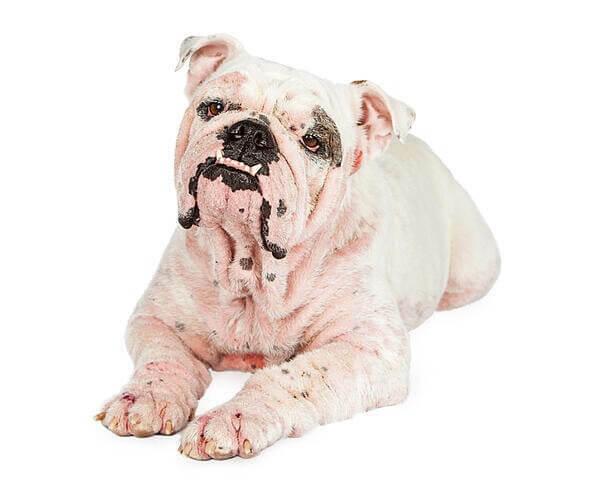 Does your dog have redness, hot spots, or is constantly itching? These symptoms could be signs of an allergy or intolerance. In this day and age, allergies are a common occurrence for dogs and cats. Many pet owners struggle to watch their beloved pets suffer through uncomfortable, and often painful, conditions. While the symptoms may get treated with some mild success, using medications or grooming and supplements, the underlying causes often go unresolved for far too long. Understanding what causes food allergies and their symptoms can help minimize, and in some cases, eliminate future occurrences. An allergic reaction is actually your pet’s body using it’s natural defence mechanisms and protecting itself from potential threats, in this case, called allergens. An allergen can be anything from food, pollen, grass, insects, or even chemicals. We use the term allergy, but in reality, it’s unlikely that your pet has a true food allergy. In many cases, an intolerance or digestive issue is causing the reaction that appears to be an allergic reaction. 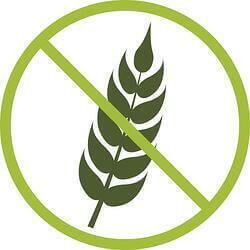 Common ‘food allergies’ include beef, chicken, dairy, eggs, wheat and corn. If your pet shows symptoms of a skin reaction, eliminating some of these ingredients may be a good place to start. When we look into why our pets may be reacting to something in their diet, eliminating possible suspects is your first step, regardless of whether its a food allergy, intolerance, or just poor digestion. Your dog’s first line of defence against food sensitivities is the digestive tract. It decides which nutrients have been properly broken down and are safe to distribute to the rest of the body. This is a major factor in a healthy immune system. If the digestive system isn’t filtering out inappropriate material, then pathogens, partially digested nutrients, and toxins can enter the body. When poorly or partially digested foods pass through the intestinal wall, this could signify a case of Dysbiosis. 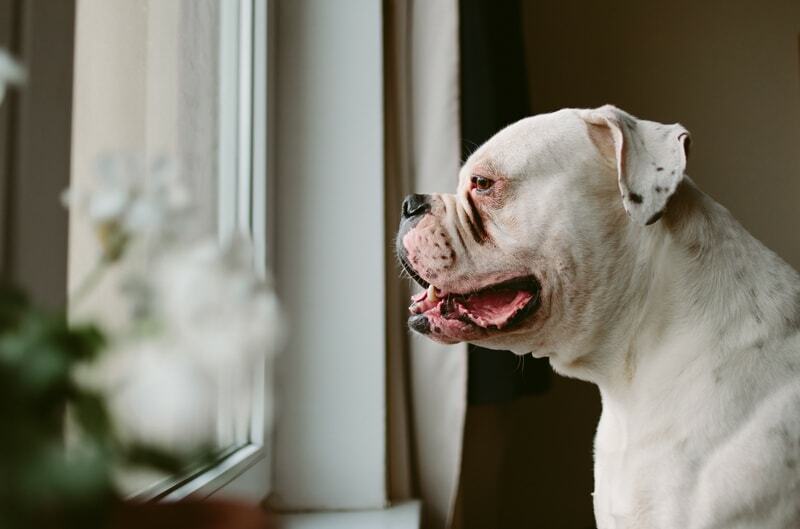 Commonly called leaky gut syndrome, inflammation of the mucosal wall of the intestine, prevents it from properly filtering larger particles, bacteria and toxins from passing to the liver and distributed through your pet’s body. To protect itself from the foreign substances that have entered the bloodstream, your dog's body will produce an antibody, called Immunoglobulin E, IgE for short. When an IgE and its designated allergen react with a carrier cell, called a mast cell, the cell will begin to break down releasing the chemical compound stored within the cell. This chemical compound contains Histamine and a type of Omega 6 fatty acid called Arachidonic Acid, both known to increase inflammation. 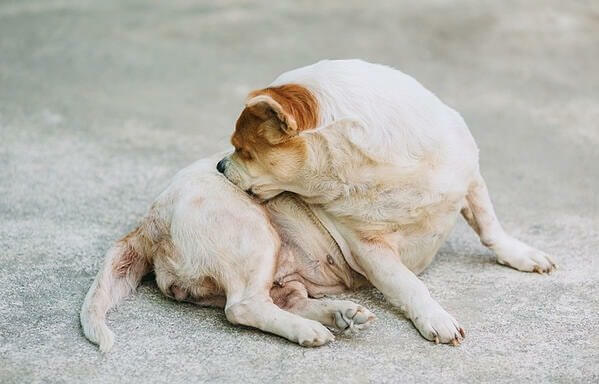 This inflammation is what causes the visible reaction and itchiness in your pet. While gluten is a common allergen, some pets react to gluten for different reasons, like digestive issues and conditions. Gluten intolerance causes inflammation in the lower intestine. This inflammation affects the lower intestine's ability to digest food properly, resulting in diarrhea, malabsorption of nutrients, and poor overall health. This is different from a gluten allergy, but this still requires a gluten-free diet for your pet. The symptoms of gluten intolerance may generally present as digestive distress as we discussed above. Inflammation and skin reactions can accompany these symptoms as well. Inflammatory responses can cause a number of skin or respiratory reactions. If untreated, these reactions can leave pets with unbearably itchy skin. The constant scratching and licking to try to soothe the itchiness will only make matters worse. 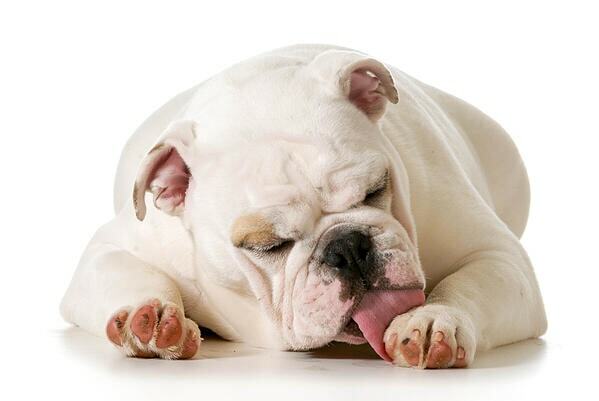 Many pets with consistent allergy symptoms can lick and scratch themselves raw. The simplest method for determining what your dog is allergic to is to use a process of elimination, called an elimination diet. As stated earlier, there are many common food allergies like beef, chicken, dairy, eggs, wheat and corn. Start by avoiding some of the most likely culprits, and monitor your pet’s reactions. It is recommended that a single, novel protein or a limited ingredient diet be fed during the food trial to help you limit the variety of ingredients in your pet’s diet. For extreme allergy cases, try choosing a protein that is new to your dog, like fish, kangaroo, venison or duck. This method is typically best for dog’s that have tried the standard elimination techniques first. Exotic proteins aren't always easy to find, but there are a few brands that offer some unique proteins, like Zignature, GO!, or Petkind. Both offer a variety of single and multi-protein diets to help you weed out some possible problem ingredients. When dealing with food allergies, regardless of what your dog is allergic to, it is a good idea to eliminate refined grains from the diet. Refined or heavily processed grains are a source of pro-inflammatory omega 6 fatty acids. Removing these grains from the diet won’t necessarily fix the problem, but can help reduce the symptoms. Try sticking to gluten-free, whole or ancient grains, or cutting out grains entirely. When on an elimination diet, reduction of symptoms in your pet should be noticeable within 3-5 weeks, but it can take up to 12 weeks for your pet to be fully relieved of allergy symptoms. Eliminate all other food sources from your pet’s diet during this food trial. Treats, chews, and table scraps can all affect the results, so be very diligent. It can be heartbreaking to not be able to share your snacks with your pet as you may have before, so if treats are vital to your dog’s routine, try to find single ingredient treats that match the protein that you are currently feeding. Hypo-allergenic is a pet industry buzzword, meaning the product is less likely to trigger an allergic response. There are no regulations regarding the use of the term hypoallergenic for pet food, so it’s best to consider with skepticism. Unfortunately, any company that limits or omits a couple of common allergens from their formulas can slap the hypo-allergenic label on their food. Don’t be tricked by this clever marketing ploy, there is no such thing as hypoallergenic food. Any dog can react to any food if they’ve developed a sensitivity to an ingredient within it. That being said, you still may find a “hypoallergenic food” useful in an elimination diet for your pet, just don’t consider it the cure-all for food sensitivities. Instead of looking for foods labeled "hypoallergenic", look for foods that say Limited Ingredient, or LID. Nature's Variety, Honest Kitchen, or Go! Solutions are just a few of the brands that offer these types of formulas. Raw diets are another type of limited ingredient food, and are often a great choice for pet's with sensitivities. They are both easy to digest and all natural. Preservatives and fillers can contribute to reactions, and raw diets will be free of these less desirable ingredients. Before we get too excited about food allergies, it's necessary to point out that most "true" food allergies are rarer than you may think. I know it sounds odd because the itchy dog pandemic is growing rapidly, but digestion plays such a huge role in your pet's immune system that digestive issues will trigger a reaction in more cases than true food allergies. 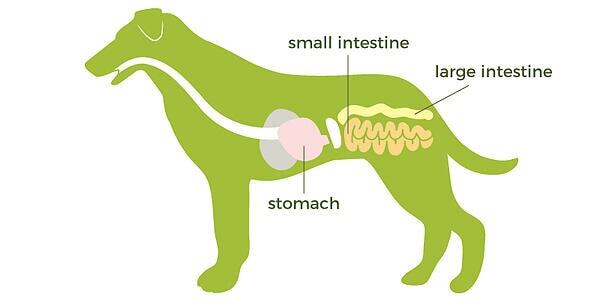 Almost 70% of your dog's immune system is connected to their digestive system. Earlier in this blog, we talked about how your dog's body flagged potential threats, causing inflammation. Well, improperly digested nutrients can cause the body to react in a very similar way. In reality, much less than half of "food allergies" are actually an allergic reaction to that ingredient, instead the digestive problems can cause your dog to react to just about anything and everything that it's struggling to properly digest. What we often see are positive results coming from major dietary changes, like elimination diets, and the assumption is that "we eliminated x ingredient, so my dog is allergic to x ingredient". What's potentially overlooked is that the elimination diet could have serendipitously been a solution for a digestive issue, therefore removing or mitigating the inflammatory response. Although the process may seem similar, digestive problems can be fixed, while food allergies are unlikely to ever be resolved, just avoided. 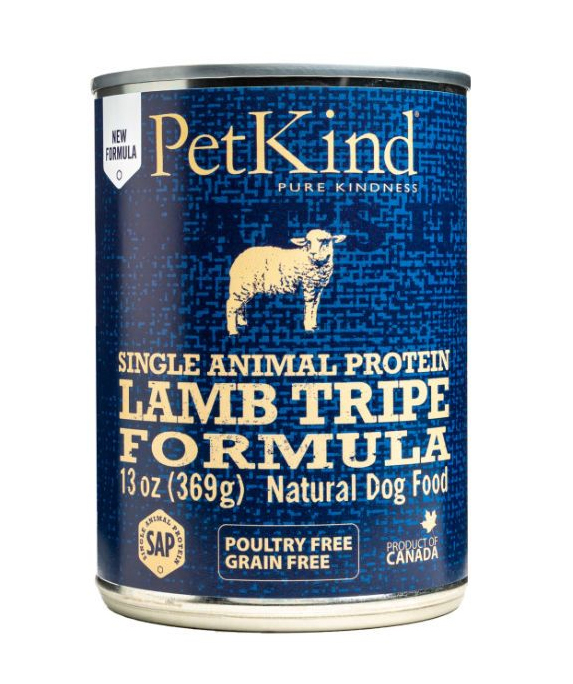 If you suspect a possible digestive issue in your pet, look for foods with digestive aids, like Petkind That's It canned trips foods, which uses the digestive benefits of tripe and offer single and exotic proteins to aid in elimination diets and food trials. Do assess your pet's diet to determine if there is something in his food that he may be reacting to. If you've read our blog about Understanding your Pet Food Labels, you may already have some insight on ingredients that can be damaging or more likely to cause digestive upsets. Don't try to fix the reaction using more than one method at a time. Changing diet, using special shampoos, and trying prescription drugs all at the same time may not give you the results you are looking for. You will have no way of knowing which remedy may have been helping. Do try eliminating excessive ingredients from your dog's diet. The more ingredients in the food, the harder it will be to determine what they may or may not be reacting to. Start with a new single protein diet to determine if the reaction was related to previously fed animal proteins. Don't jump hastily between foods if you aren't getting an immediate result. Patience is required in this, often lengthy, trial and error method. Try to give each food at least 4-6 weeks before trying something new. Quickly switching foods can cause digestive upsets that may contribute to the skin reaction worsening during your trials. Do monitor your pet's progress. We recommend taking pictures or keeping a small journal so that you can record changes to skin condition during your trials. Do consult with your vet if symptoms continue to worsen. Infections can develop, especially in heavy licked or scratched areas. If you think that your dog may be at risk of developing an infection, you may need antibiotics to eliminate the infection. Do stick to your plan. We like to give ourselves a "cheat" day every now and then when making major dietary changes for ourselves, but this is not the same. Cut out treats, snacks, and be cautious of things your dog may find on walks or in the backyard. Once you find a protein that your dog can have, then you can start reintroducing treats of the same nature. The toughest thing about correcting allergies or sensitivities is that it's take time. It could take several weeks and even months to determine intolerances and allergies and even longer to completely reduce the symptoms. It's important to stay consistent and to not try to rush the process. Little mistakes could require that you start fresh from the beginning, so take your time and give each step a chance to work before changing directions. We'd love to hear your dog's allergy success stories below in the comments!